Eighteen of us gathered at the Westport CT Barnes & Noble on Wednesday, to exchange ideas, brag about successes, set small goals and drink coffee. The temperature was around 70, which confused us all for a couple of days, but we’ve come to our senses now. 🙂 Fairfield County is becoming a writers’ hub, with loads of events to encourage our writing. I’ve complied the following in (largely) date order. Write Yourself Free, based in Norwalk, is offering a unique workshop tomorrow, Saturday, February 24 from10:30 am – 1:30 pm. Patrick McCord will help you come to a better understanding of what happens when some action or person appears to you as true, just, and/or beautiful. $40 WYF students/alumni / $50 new clients. They are also running free introductory classes on the following dates:February 25, March 4, March 8 and March 10. Follow the links to register. The Connecticut Press Club is co-sponsor of a workshop with Contently on February 27 at The Fairfield County Writers’ Studio at 7:00 p.m. The workshop will show you how to become a content marketing writer, something you should know how to do if you are developing your own website. $25 includes Prosecco and light refreshments. Register here. For those of you who missed last month’s Pitch party, you can join a live webinar on March 15 at 5PM PST, run by Pitchapalooza. You get 250 words to pitch your book. Twenty pitches will be randomly selected from all submissions to be critiqued during the webinar. For details on how to submit your pitch, (by 11:59PM PST on February 28, follow this link. The winner will receive an introduction to an agent or publisher appropriate for their manuscript. If you’re at the point of looking for an agent, you might want to attend the New York Writers’ Workshop Pitch Conference in New York on April 20-22. It’s pricey at $495, but might be worth it if it gets results. Lilly Danzyger editor at Narratively, the online journal, is teaching a course on writing the personal essay at the Fairfield County Writers’ Studio beginning March 1, from noon to 2pm. Open level, for anyone who wants to develop their first-person storytelling chops. She’ll cover the nuts and bolts, from picking a fresh and exciting topic to writing active scenes and getting at a big-picture idea, and you’ll write and polish one publication-ready essay. She’ll follow that up with a class on advanced memoir writing from 2-4pm.The class is for writers with a book-length work in progress, and is limited to 6 students. Marcelle Soviero and a group of other published writers will be reading their work at 323 Bar & Restaurant in Westport on Friday, March 2, from 7 – 9 pm. The event is free and you can buy yourself a drink or dinner while you’re there. The Westport Library’s ongoing program for writers, WestportWRITES, is offering a free mini-conference on March 4 from 1-4pm.Entitled, Write Your Fear, it will show you how to write horror, if you’ve never tried it, or improve if you have. Donald Maass, a New York literary editor, is giving an all-day workshop entitled: The Emotional Craft of Writing: How to Tell the Story Beneath the Surface, on March 10, at the Norwalk Inn in Norwalk CT. It costs $139, and you may register here. Enter by March 15 for the chance to win $1,000 in the Missouri Review’s 11th Annual Miller Audio Contest. The journal is now accepting up to 15-minute audio entries in poetry, prose, audio documentary, and humor for the 11th Annual Miller Audio Prize, judged by the estimable Avery Trufelman. And WestportWRITES marches on! The Westport Library is running a series of FLEX:experiences from March 21-25, some free of charge and some with a cost. Check the link for details. One experience that I think is worth a writer’s time takes place on March 23 from 10-3pm. Local authors will be appearing at the library all day. They include: Nina Sankovitch; Emily Liebert; Lynne Constantine; and Sally Allen; among many others. If you’re not attending that event, you might be excused if you’re writing a play for WestportWRITES. It must be no longer than 10 minutes, must take place at a table, and have only two characters. If you’re not sure how to format a play, check here. The plays will be work-shopped for the very first Playground Westport, a downtown theatre mini-fest this summer. Submission deadline: 5pm, April 1. Submit to Westportwrites@gmail.com, and put Playground Westport in the subject line. Those indefatigable guys at the Westport WRITES headquarters are at it again on April 8 from 1-4pm with another mini-conference Write Your Business. The conference will focus on the business side of writing, including how to promote yourself if you’re self-published. 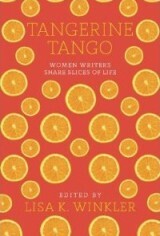 Alice Mattison, author of The Kite and The String will be there to discuss the writing life. 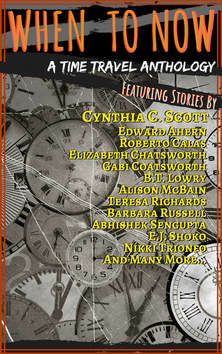 Time travel is a compelling sub-genre of science fiction and fantasy, and the Fairfield Scribes are looking for the feature story for their upcoming anthology, When to Now: A Time Travel Anthology. Submissions are open between now and May 1. They’re only accepting original stories with a word length of between 2,000-10,000 words. Check their website for complete details. If you’re having trouble with a longer work, perhaps you can manage a 100-word submission to The Drabble. They’ll even allow you to republish material from your blog. Check their website to get some idea of what they’re looking for. . Recommended by our members: Bibisco, open source novel-writing software that helps you organize your work. Definitely worth a look. And Janet Reid’s blog – she’s a literary agent who offers advice on how to write a query letter. Amazon offers advertising for your book on a pay-per-click basis. You only pay when someone clicks on your ad and looks at your book. Find out more here. Gabi, this is one of the richest Writer’s Rendezvous summaries ever. Thank you. Sorry I missed the February meeting, but I really appreciate all the ideas to which you pointed us. It is rather long this month, but there’s so much going on, and people have great suggestions to add too. I just finished the first draft of my 10-minute play for WestportWrites. Now I have to workshop it. Should be fun!